Eyes are the most expressive part of the face. We constantly rely on them to convey emotions and project our personality and energy. However as decades go by, this overuse takes a toll on the skin and muscles around our eyes, leaving the upper and lower eyelids looking tired and droopy. A blepharoplasty, or eyelid lift, rejuvenates the eyelids, leaving you with an overall fresh and youthful appearance. What causes eyelids to age? There are a number of factors that cause eyelids to sag or become puffy. In fact, eyes are usually one of the first areas of the face to show signs of aging. The constant use of eye lids are a significant cause of aging, however genetics also play a major role. Droopy, down-turned eyes, overhanging upper lids and baggy lower lids often run in families. Will the results look natural? Yes! The eyelid lift procedure creates a younger, refreshed look and a firmer eye area. Since the incisions are small and strategically placed, scars are almost invisible. Friends or relatives might not even be able to tell that you’ve had anything done. What occurs during the surgery? Surgery can be performed on the upper eyelid, lower eyelid, or both, depending on the patient. Excess skin is removed through an incision that is camouflaged by the natural creases around the eye. The fatty tissue that causes under-eye bags is removed through an invisible incision behind the lower eyelid. Either local or general anesthesia can be used. How long does recovery last? 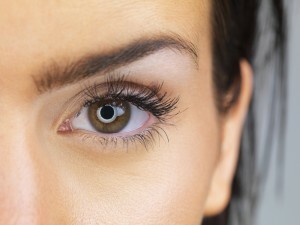 Patients who undergo an eyelid lift are able to go home within a few hours, as long as they don’t receive any other procedures simultaneously. Following the surgery, there is usually little or no discomfort, though some bruising and swelling is to be expected. Some patients choose to wear sunglasses as means to cover up the bruising and to protect the eyes from sun and air irritants. Occasionally, patients experience mild, temporary eye irritation or dry eye symptoms. In those cases, your surgeon can recommend eye drops or ointments to help. Within a few weeks, most patients can resume their daily activities as usual. If you’re interested in an eyelid lift, contact Dr. Brunner today. Our offices are located in Princeton, and you can reach us directly at (609) 921-9497. We look forward to hearing from you!